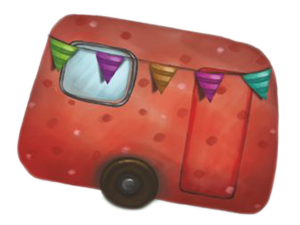 is a real attraction wherever it shows up. 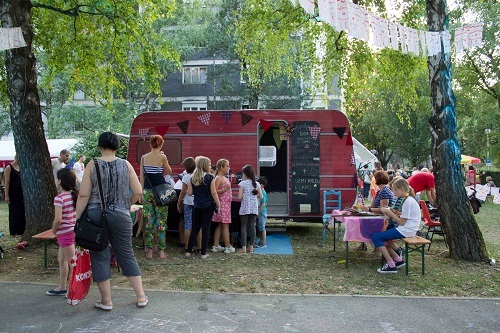 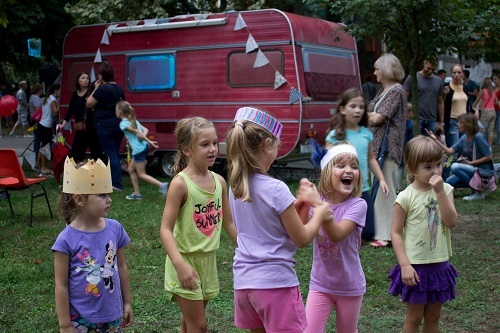 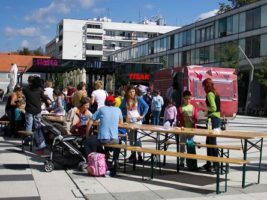 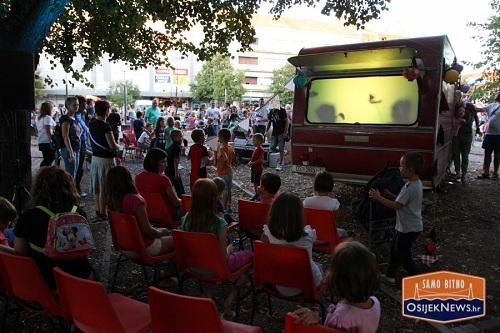 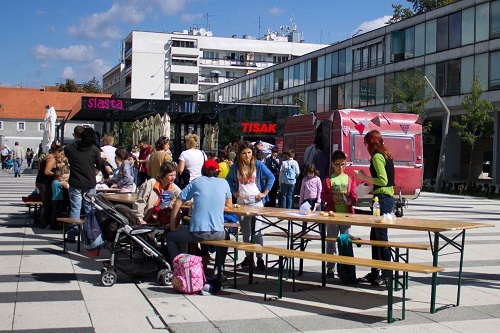 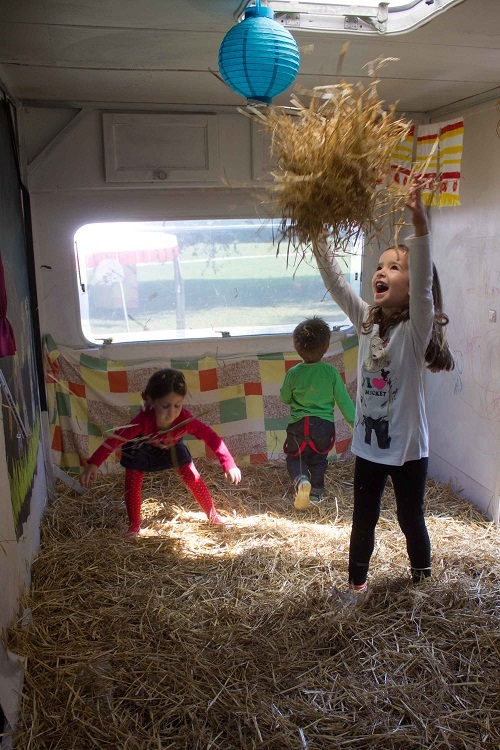 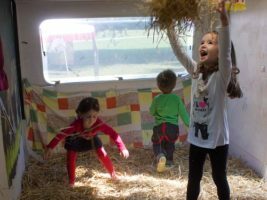 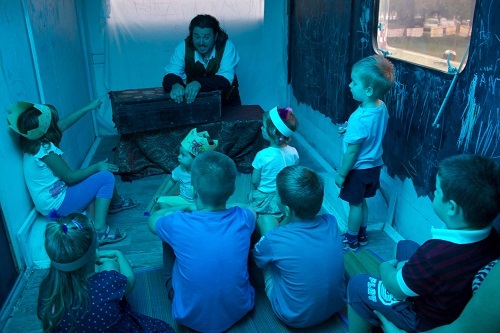 Designed as a combination of culture and education in collaboration with its users – children and youth, it offers various creative workshops, presentation places in a remodelled red camp trailer which travels around city blocks, suburbs and rural areas of Osijek-Baranja County. 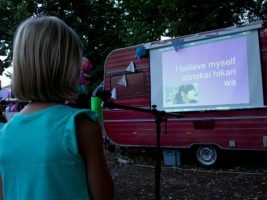 Various activities are realised by ensuring the availability of cultural-educational content to children and youth where it’s been left out or it isn’t represented enough. 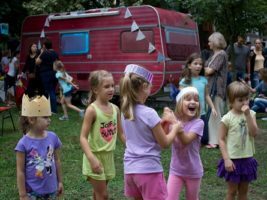 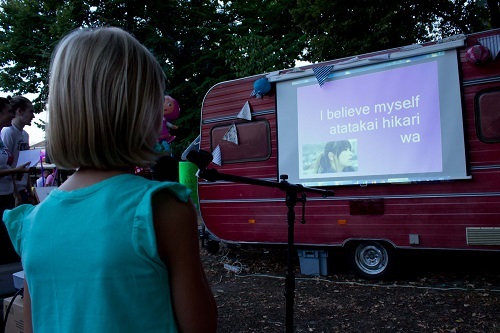 During the August of 2015 we visited Donji grad and introduced Japanese culture and tradition – we sang songs in Japanese, acted in shadow play, and danced szme. 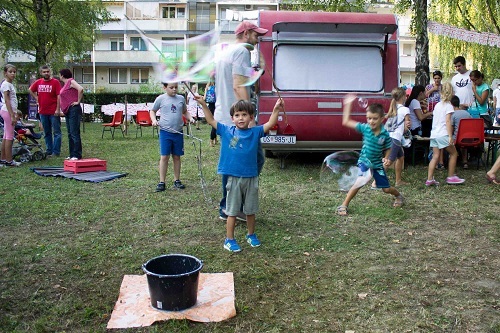 After that we visited Tenja, suburb of Osijek, where we presented picture books, read stories, and after that we went to the Vijenac Ivana Meštrovića, where we continued creative workshops such as creating traveling aids, giant balloons, sound traveling etc. 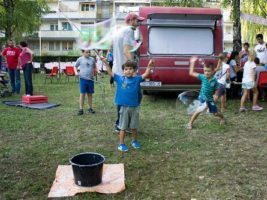 In September we visited Sjenjak where we had a dance workshop, theatre play for children and youth, and a few interesting art installations. 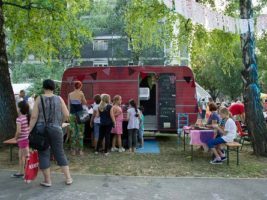 MOKUC cleverly disguised itself as a traveling post office in one of squares in the city’s downtown and gave the opportunity to elementary school children to write letters, put stamps on them, and send those letters. 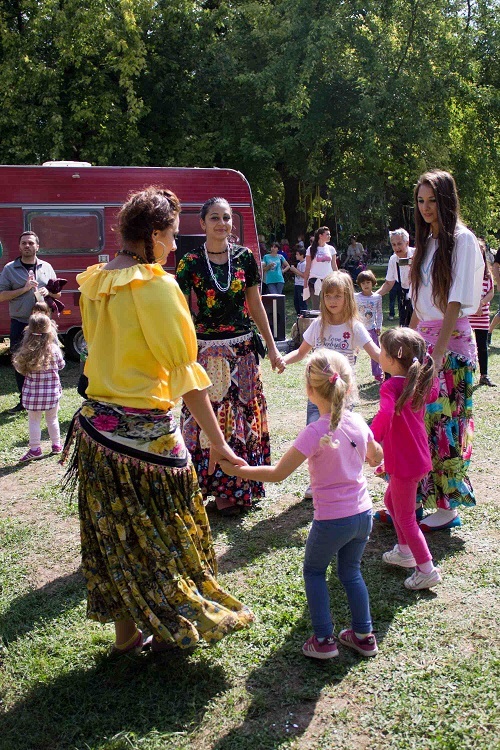 Minorities are also included into our scope of work, so we hosted Roma Folk Dance and Song Ensemble from Darda in one of our parks and they taught us traditional Roma dances, how to weave baskets, etc. 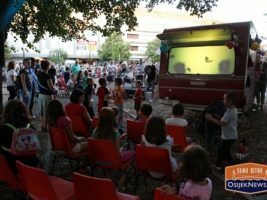 and there were also other workshops such as mime and juggling workshop. 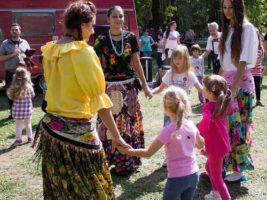 MOKUC’s October destination was Nature Park Kopački rit, village Kopačevo to be more precise, where visitors could, among other things, watch flora under the microscope in a bio laboratory which was set up for especially for that occasion. 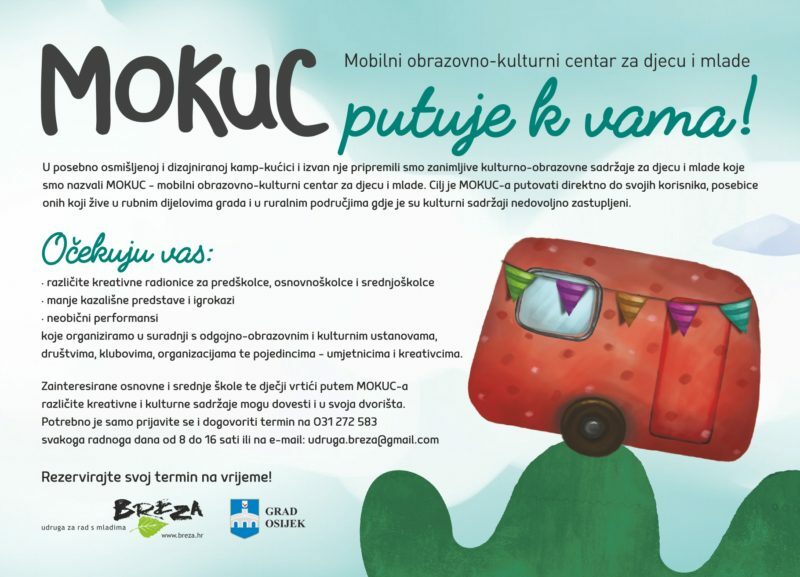 MOKUC’s last trip in 2015 was in December when it turned its attention to Erdut municipality where creative workshops and Christmas play were held. 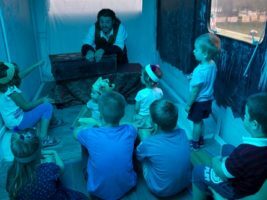 MOKUC continued with its travels during 2016 thanks to the support of city of Osijek… All content were realised in cooperation with the Osijek Museum of Fine Arts, the Museum of Slavonia, City and University Library Osijek, GEKKO association, PI NP Kopački rit, Vijenac elementary school, Tenja elementary school, elementary school from Erdut, Slavonski hrast Scout Association, individuals, students, and volunteers.